SUP surfing is yet another one of the more challenging, yet exhilarating ways to enjoy paddle boarding. In this article, we’re going to cover some of the basic tips and tricks to successfully riding your SUP on the waves. 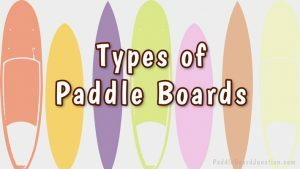 Paddle boards come in all shapes and sizes, and one of the most important steps to surfing is to choose the right kind of board. To ride and navigate the waves more effectively, it is best to pick a smaller board, around eight to ten feet long. 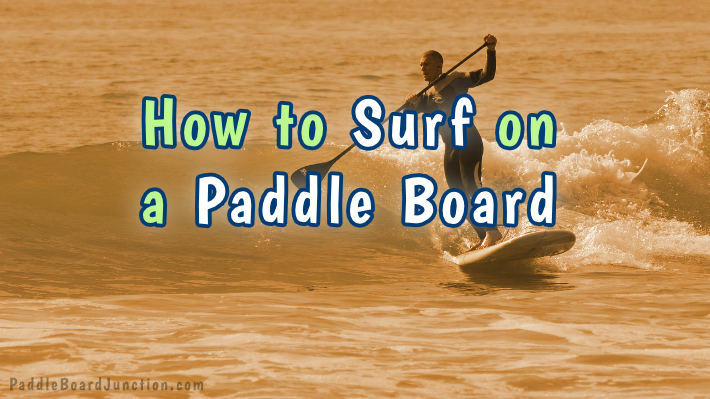 Keep in mind, however, that the smaller the board is, the more difficult it can be to maintain balance, so if you are a beginner surfer, consider purchasing a surf SUP on the larger side and working your way down as you improve. 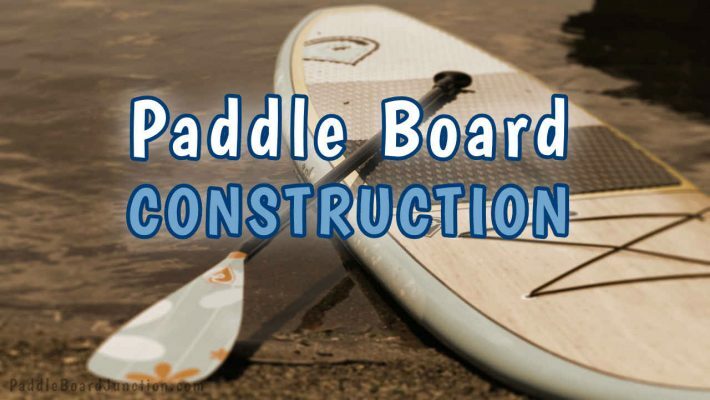 Once you’ve chosen the right board for you, it’s time to get out on the water. As a beginner, steer clear of any other riders, swimmers, or rocks. Find a relatively empty area in which to learn and practice. Be sure to attach a leash to your board. If you fall off, the waves will not carry the board away, and it will be easier to regain. If you do fall off, though this may be your first instinct, DO NOT let go of your paddle. Be aware of your area’s surfing/paddle boarding regulations. 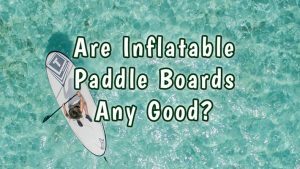 Many countries require paddle boarders to wear personal flotation devices, or PFDs for short. Once you have scouted out an empty area with comfortably-sized waves, wade into the water until it is about waist-deep. If you see a larger wave coming in, stand between the wave and your board to break it. 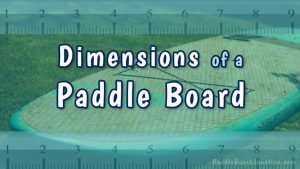 Once you have reached a point where the water is about waist-deep, climb onto your board and begin to prone paddle – lying on your stomach and paddling with your arms – or paddle sitting down to reduce wind resistance. When you feel ready, stand up and begin look out for a wave you’d like to catch. 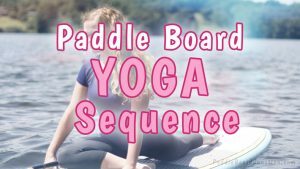 In the meantime, keep paddling over the smaller waves with your feet about shoulder width apart and your knees slightly bent. Once you have spotted a wave worth riding, turn the board so that it is parallel to the wave and begin gaining momentum by paddling. Do not yet turn to the beach, as this will cause your board to go in the opposite direction you want. As the wave gets closer, begin turning your board towards the beach and getting into a surf position: feet in an almost T-stance, shoulder width apart, with the back foot pointed to the side and the front foot at a 45 degree angle. Standing in this position, along with bending your knees even further, will ensure stability and unshakable balance. Place your back foot closer to the back of the board, with the front foot around the middle. Placing your foot and shifting your weight slightly towards the back of the board will lift the nose above the water, allowing you to ride the wave more easily. Don’t hop into the position, as this can result in you losing control, just ease into it one foot at a time. As you start out, give yourself plenty of time to begin turning and getting into position. Once you begin to get the hang of it, wait for the wave to come even closer, turning sooner and sooner until you become a pro! Once you’ve caught the wave, the hardest part of SUP surfing is behind you. Use the paddle to steer, keeping the paddle on the opposite side of the direction in which you want to turn. So, if you want to turn left, keep the paddle on the right, and vice versa. Once you’ve ridden it out, turn around and start over. Happy paddling, folks!